I believe the film will be title Kinison‘ and Permut said, “There was nothing conventional about Sam Kinison and neither will be the cinematic interpretation of his life. “Larry Charles is the perfect director to bring Rich Wilkes’ incredible script to screen, and Josh Gad’s tremendous ability to morph into a role will bring great depth to Kinison’s larger than life persona.” This according to Deadline. 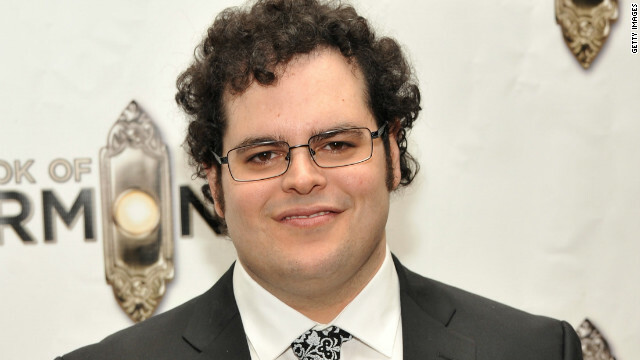 Josh Gad starred in the broadway sensation ‘Book of Mormon‘ by ‘South Park‘ creators Trey Parker and Matt Stone. Gad also starred in ‘The Rocker‘ and can be seen in the upcoming film ‘JOBS‘, where he plays Steve Wozniak, friend and colleague to Steve Jobs. I recently sat down with Josh to discuss ‘JOBS‘ and he couldn’t have been nicer and funnier to talk with. He’s gonna kill this role. Director Larry Charles has worked with Sacha Baron Cohen on his previous films such as ‘Borat‘ and ‘The Dictator‘. The movie will follow Kinison from the 80s where he was in the family business of Pentecostal preaching, then his transition into standup in Hollywood. 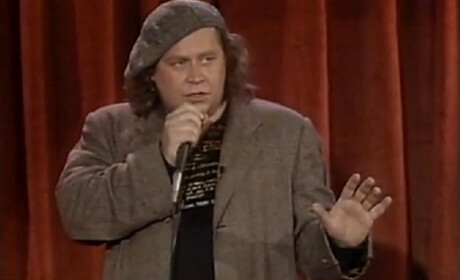 Kinison shot to stardom, but not without his demons, as he pursued alcohol and drugs for a while. Kinison starred in ‘Back to School‘ with Rodney Dangerfield and sobered up. Tragically and ironically, Kinison was killed in a head on collision by a drunk driver in 1992 at the age of 38. Kinison was a comedic genius, known for his stance on politics and religion, and bursting into a fit of rage on stage, screaming, all the while bringing the house down with laughter. I can’t wait to see this. Sacha Baron Cohen’s Next Project is ‘The Lesbian’!!! This entry was posted on Monday, August 5th, 2013 at 2:35 pm	and is filed under Film, News. You can follow any responses to this entry through the RSS 2.0 feed. You can skip to the end and leave a response. Pinging is currently not allowed. « Diamond In The Rough: ‘Sharknado’!! !